Solar Integrator Trailer - Wanco Inc. 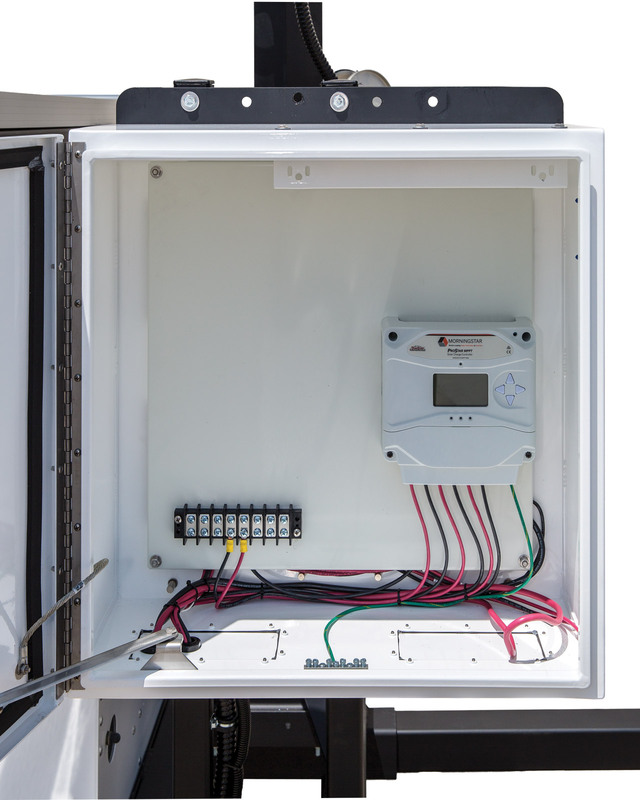 The simple design of Wanco’s Solar Integrator Trailer provides everything needed for installing equipment. 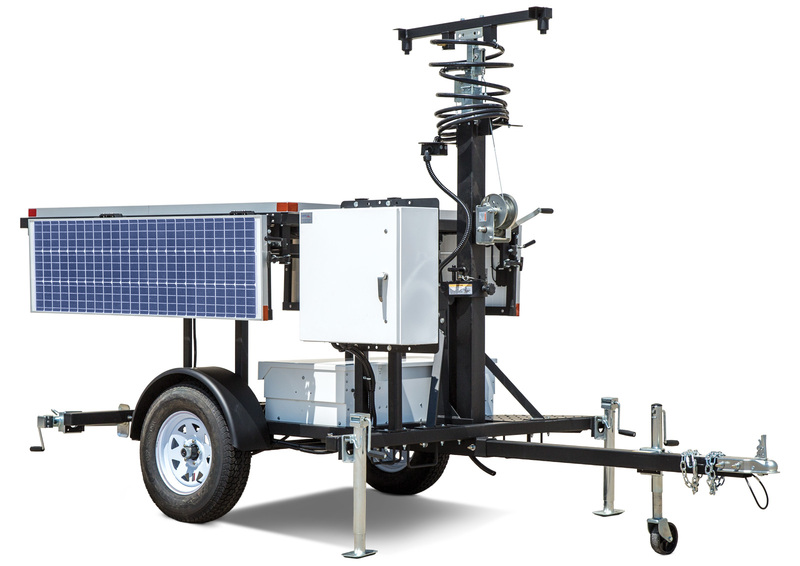 The solar-powered trailer provides a power and portability for your electronics and other equipment. Combine cameras, lights, recording devices, PA systems — anything needed for the application. 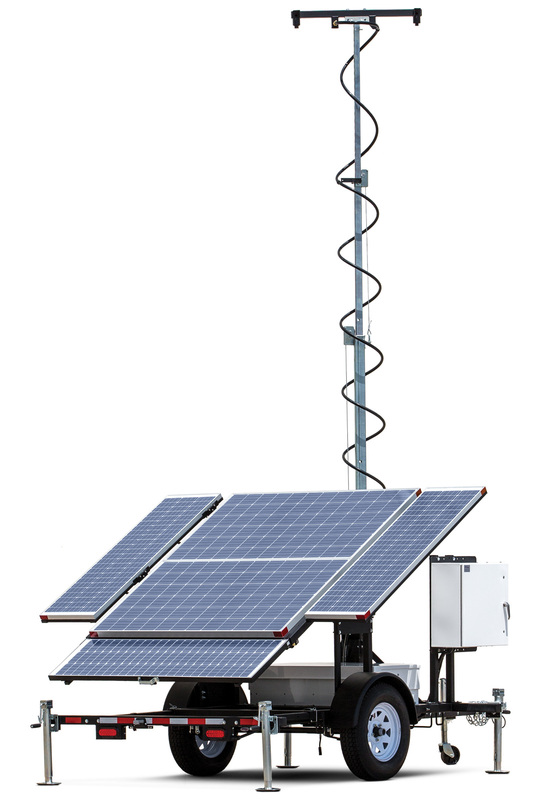 The rugged trailer includes a 20-foot telescoping tower with attached cable and battery power with an automated solar-based charging system. 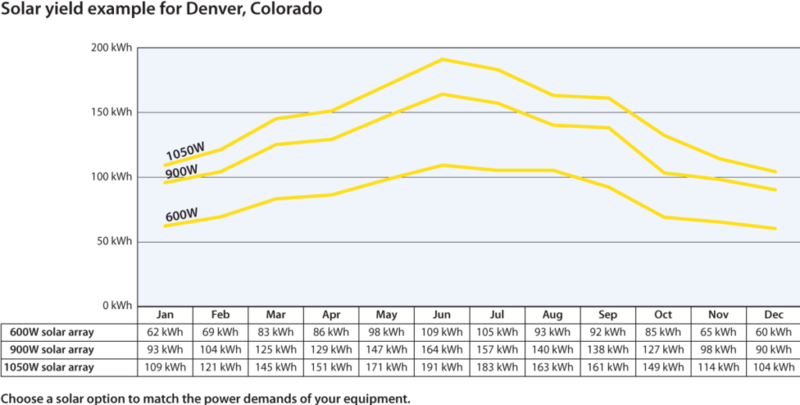 Choose from three solar power options to match the power demands of your equipment. Wanco’s Solar Integrator Trailer provides a robust, dependable platform for you to install your own gear. Installing your own equipment is easy, with cabling factory-installed on a 20‑foot telescoping tower that rotates nearly 360 degrees. Standard electrical and mechanical connectors make installation simple and easy. Ready for customizing, this durable platform lets you combine cameras, lights, recording devices, PA systems and more — anything needed for your application. A lockable NEMA-rated enclosure is prewired and back plate ready for your electronics and controls. The Integrator Trailer is built to last, with a heavy-grade structural steel frame and a reliable power system. Wanco trailers are designed for on- and off-road use, and components are chosen for durability and dependability, ensuring reliable operation and long lifespan. Many components are replaceable when necessary, such as the trailer’s bolt-on steel fenders. Power is supplied by batteries, which are charged automatically by the solar-based charging system. The power system operates silently. Automated low-voltage shutdown protects batteries and sensitive electronics. The battery bank is housed in a high-security enclosure with hidden hinges and hidden-shackle padlocks. The solar array features adjustable-tilt for optimal charging. The solar array provides input power (solar yield) and battery charging. Locations with plenty of sun can see autonomous or nearly autonomous operation year‑round depending on equipment power demands (see solar yield chart). Locations with less sun, and applications with high power needs, may require additional solar or battery capacity.